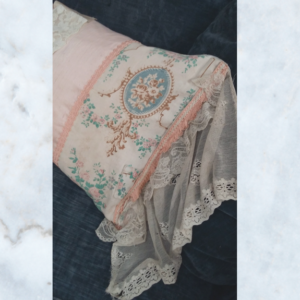 A beautiful collection of Antique & Vintage textiles from cushions, curtains, pelmets, rugs, throws, shawls & other decorative textiles sourced on my travels. 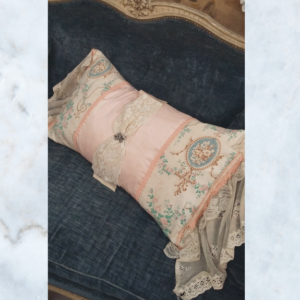 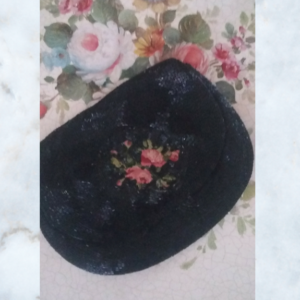 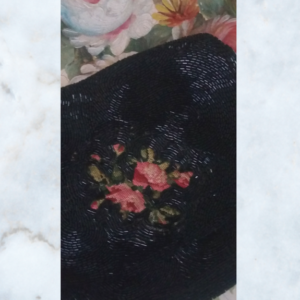 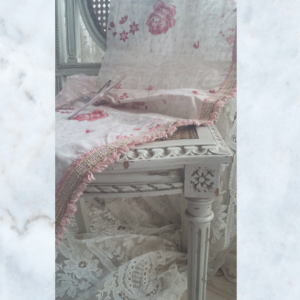 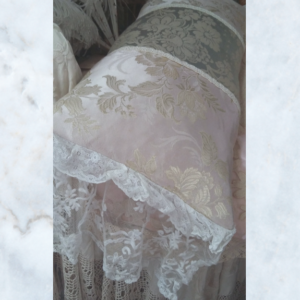 Lola Pearl Vintage handmade one off items including our luxury boudoir cushions reworked from beautiful Antique laces, tulles, damasks, silks, satins & French floral cottons.They are finished with Vintage & Antique trims, jewels & brooches. 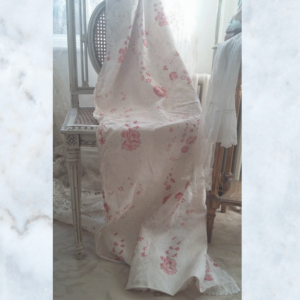 I also offer bespoke reworked luxury curtains & pelmets,please contact me for details. 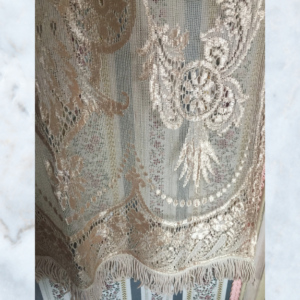 1920s oyster lace curtain panel with fringing. 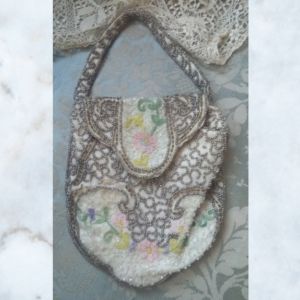 1930s beaded evening purse, bag embellished with pearly white beads & embroidered decorative detail. 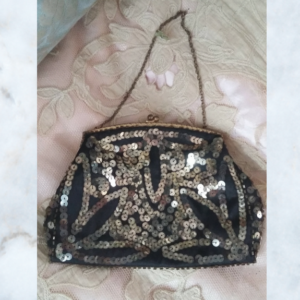 1930s black satin evening bag adorned with gold sequins. 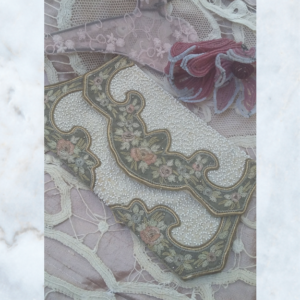 A brass frame & clasped fastening with a gold chain. 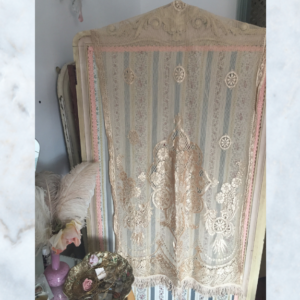 Exquisite reworked antique gold & pearl beaded dress panel on a ivory silk background. 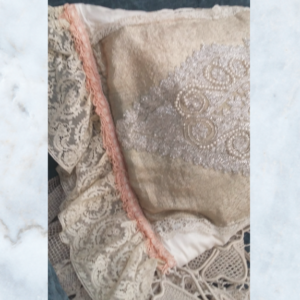 Trimmed with antique frothy lace frills & faded rose fringed brocade. 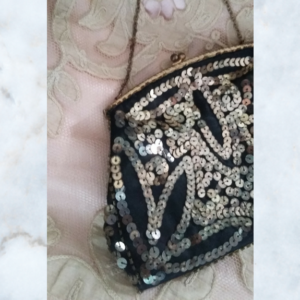 Antique black heavily adorned beaded bag with tapestry roses & lined with black taffeta. 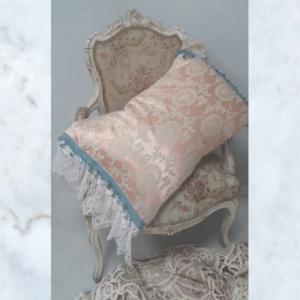 Exquisite antique dusky pink damask feather boudoir pillow, cushion with layers of frothy antique lace & blue tassle trim. 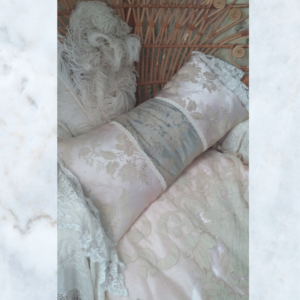 Beautiful luxury boudoir antique damask, silk & lace feather pillow. 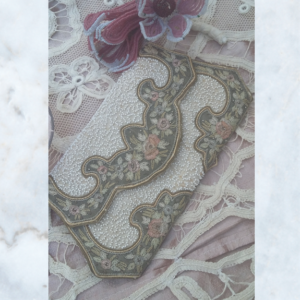 Antique silk embroidered & beaded evening bag. 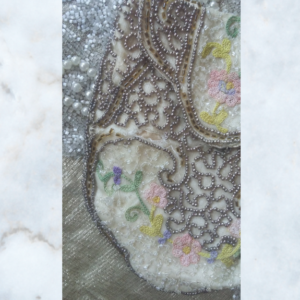 Crean silk with gold & glass beads & delicate embroidery of flowers & leaves. 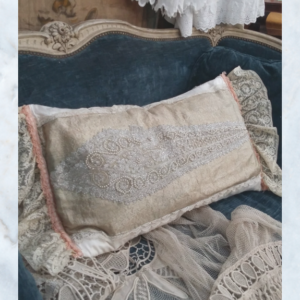 Beautiful large antique french fabric feather pillow, cushion. 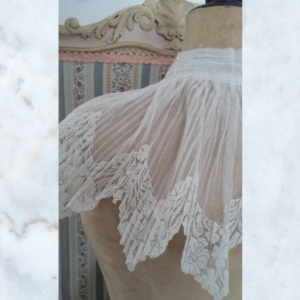 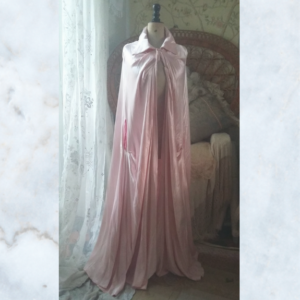 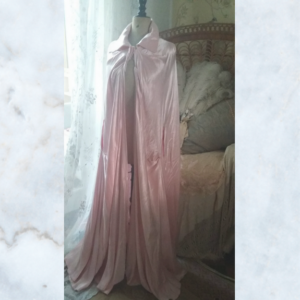 Reworked with pale pink silk, antique tambour lace frothy frill & finished with a antique diamante brooch on a lace & taffeta bow. 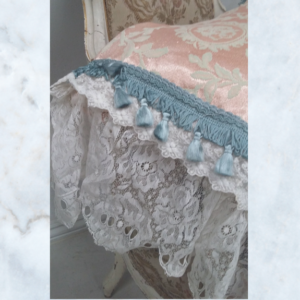 Pretty antique vintage faded french floral curtain & pelmet with decorative trim. 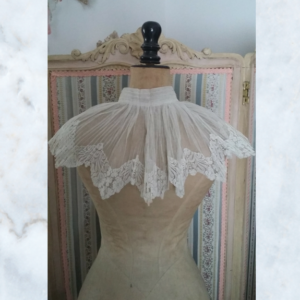 Antique lace & net collar, lots of pretty detail.